The first in a long series of episodes dedicated to the delicate balance of Homer and Marge's marriage, it's Marge's birthday and the kids are in the kitchen making her breakfast and bragging about the gifts that they got her. 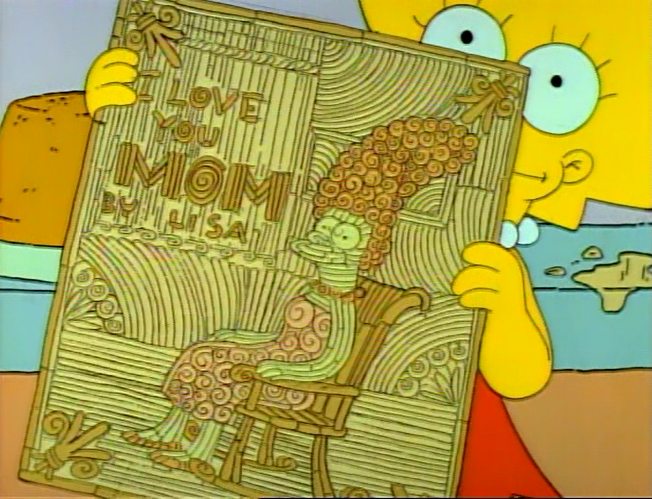 First, you have Lisa's macaroni portrait. 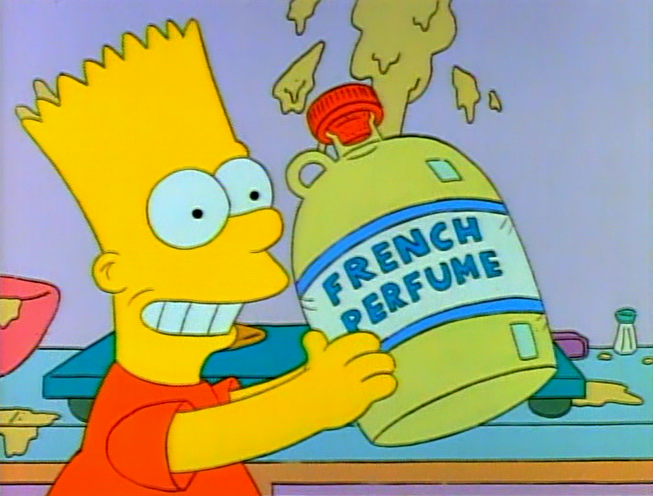 Next, you have Bart's giant jug of French perfume. Upset that Homer clearly got himself a bowling ball for her birthday, Marge decides to learn how to bowl just to spite him. It's clear that she is not very good but she catches the eye of Jacques, a French bowling instructor (Brooks) who agrees to teach Marge to bowl. 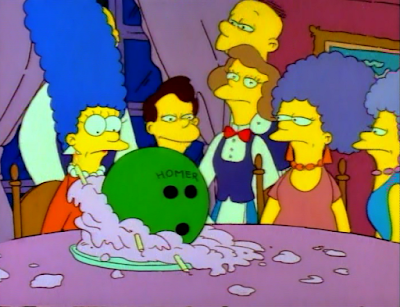 Jacques and Marge become very close and Jacques even gets Marge a bowling glove with her name sewn onto it. After several bowling lessons, Jacques asks Marge to have brunch with him. While at brunch, Jacques and Marge run into Helen Lovejoy, the gossipy minister's wife, but Jacques covers up their "date" by saying it is a bowling lesson. Jacques then becomes bolder and asks Marge to meet him at his apartment. Marge promptly faints and dreams of a bowling-themed life with Jacques. Upon awakening, Marge agrees. 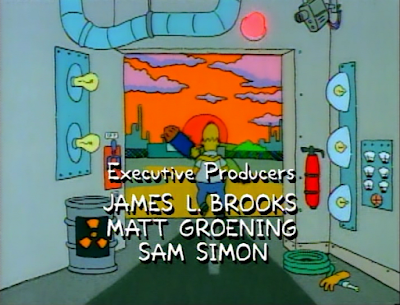 Homer, meanwhile, is aware that something is wrong but he doesn't know what or how he can fix it. He finds the personalized glove for Marge and begins thinking it's another man and that Homer pushed Marge right to him. 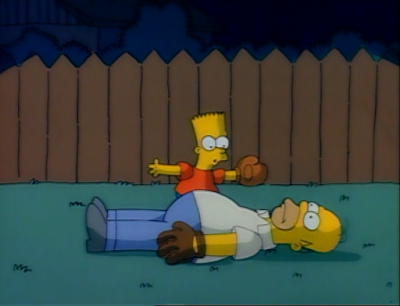 Bart, also aware that something is going on with his parents, tries to help Homer during a game of catch. The next morning, Marge is packing lunches and Homer compliments her on how she makes her sandwiches before saying good-bye to her and leaving for work. 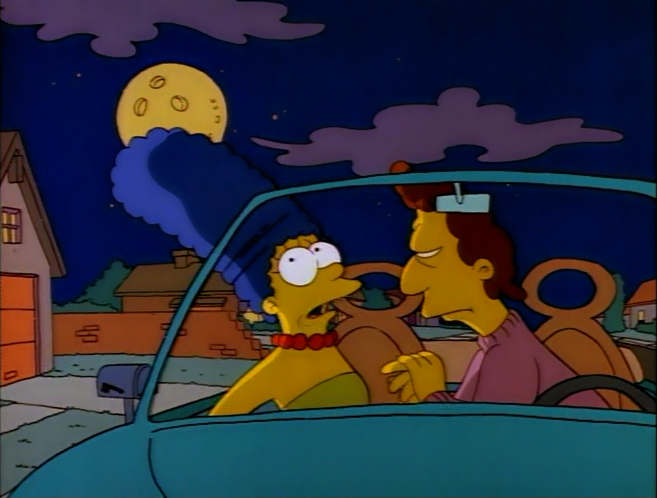 On her way to Jacques' apartment, Marge drives down a street that reminds her of her marriage and the commitment she has to Homer. She reaches a fork in the road and is torn between going to Jacques' and going to the Nuclear Plant. As Homer is doing something with nuclear material, Marge comes up to him. The two kiss and embrace and Homer picks her up and carries her out of the plant, announcing to his coworkers that he's "going to the backseat of my car, with the woman I love, and I won't be back for ten minutes." This episode really made an impact on me about physical and emotional cheating when it comes to relationships. Jacques and Marge didn't really have a physical relationship, although Jacques tried, but they did have an emotional one which I have always felt was worse. There's barely a worse feeling out there than knowing that you are no longer your significant others' best friend anymore. I love when TV shows have kids make breakfast there are always dozens of pancakes. There's no way a kid would stand over the stove to make two dozen pancakes or more. I can barely stand there and make nine. "If she likes your present so much, then why isn't she wearing any?" "Yeah, Mom, why aren't you wearing any of my perfume?" "I'm saving it...for a special occasion." "What the hell are you talking about? There's gallons of it." I love Marge's original bowling stance. Cup the ball with both hands and swing the ball down the alley. I had never noticed that Jacques loses his accent when he shouts "four onion rings!" while they are fondling the alley until I read it in the Simpsons episode guide. Now, I can't unhear the loss of the accent. "Dad, you didn't even say 'ouch'." "Oh. Sorry. Ouch." This won't be said for a few years but luckily Marge "drove down that ironic street."